Questa Serif is a sans serif typeface created by Martin Majoor together with Jos Buivenga and published by The Questa Project which is available in 5 weights and their italics. It can be use for any kind of project. Enjoy! Price: starting from $25,00 for one font to $149,00 for all 10 fonts. 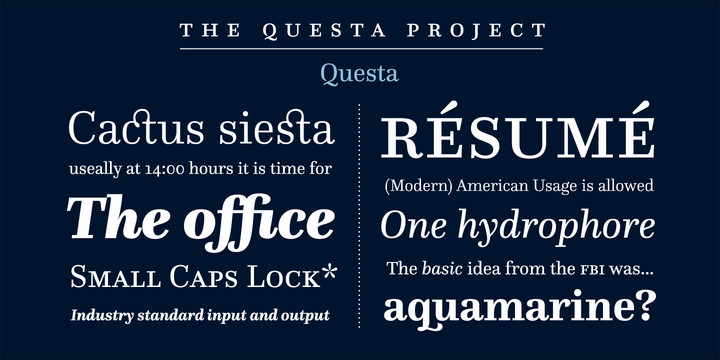 A font description published on Monday, July 3rd, 2017 in Fonts, Jos Buivenga, Martin Majoor, The Questa Project by Alexandra that has 2,868 views.